ABOUT: Tilly is a very pretty young mare. She is a shy soul and needs confident, patient handling. Tilly can be quite tense when handling her back end, she tucks herself under and clenches but with a bit of massaging and grooming she relaxes. She has started her ridden training but is being taken very steadily, learning to long rein, lunge and accept the weight of a rider which she will be continuing in spring 2019. 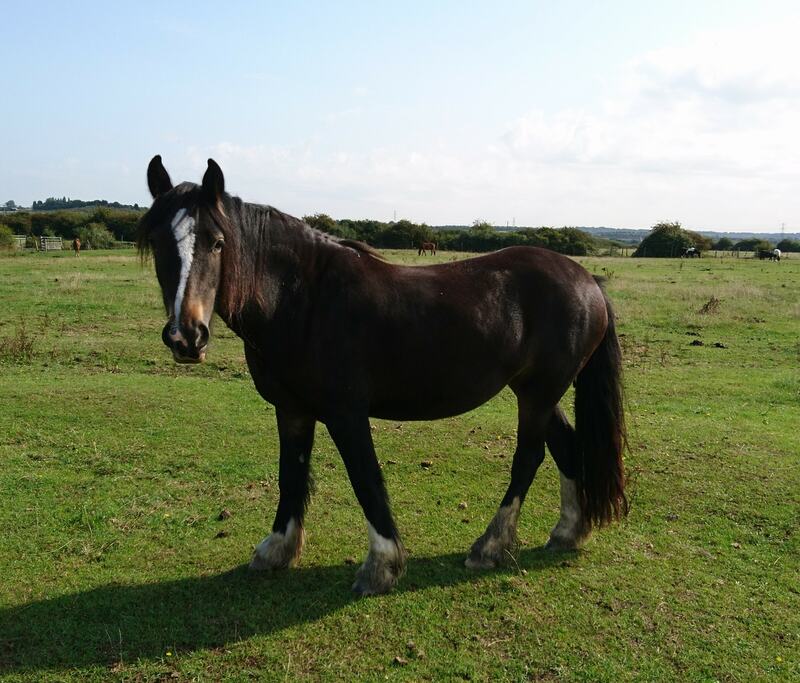 HISTORY: Tilly came to EHPPS in March 2017 after she had been left abandoned in a field with a headcollar and long trailing rope attached. Poor Tilly was constantly stepping on the trailing rope, thankfully this made it easier for us to catch her when the time came. She was very underweight and scouring badly, her headcollar was in the early stages of cutting into her face. Inside this timid and pretty pony is a real sweet character waiting to shine through with the one to one she’ll receive from an experienced foster family.